On the 31st of Jan and 1st February 2018, Logic4training was exhibiting at ELEX at Alexandra Palace. We were offering advice on all courses and exclusive discounts on some of our courses. These past few days have been busy with builders, plumbers and electricians that were looking for the latest trade products, tools and equipment at Alexandra Palace. ELEX – A chance for electricians stay updated with new information, regulations and top products. 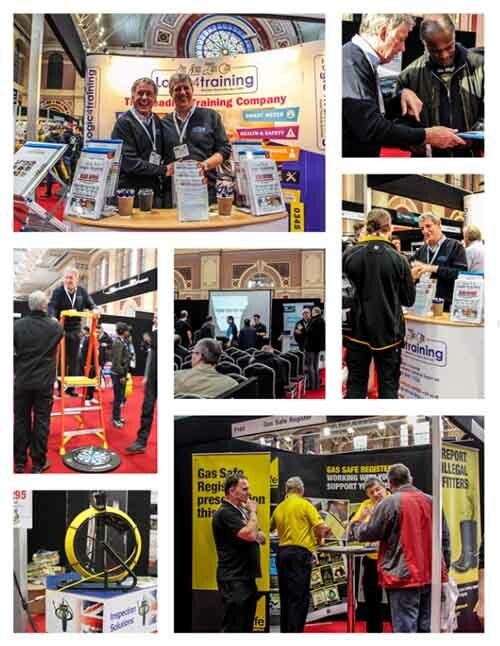 Toolfair – A regional trade show allowing visitors to try out the latest top brand power tools and hand tools, as well as getting great show deals. Professional Builder Live – Bringing the advice and information from the pages of the trade’s magazine to life. Professional Builder Live showcases the best new building equipment. A BIG thank you to all their hard work and we can’t wait for the next one. Because of them, visitors and exhibitors were able to meet incredible buyers, suppliers, and manufacturers. This was logic4training’s first show of the year so thank you to everyone who made the effort to come down and speak to us. We got to listen in to a few seminars such as 18th Edition IET Wiring Regulation and Gas Safe seminars from Gas Safe Register, played a few games with neighbouring stalls, checked out few new products, and of course, constantly had a good chat (and an occasional laugh) with our visitors. We were so glad to be apart of ELEX for the second year and we hope you found the experience useful.